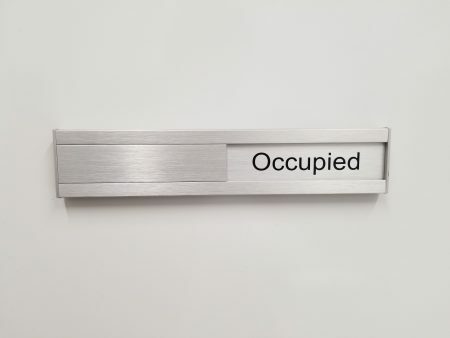 VS In Use Sliders are perfect for identifying if a meeting / conference room is vacant or in use. 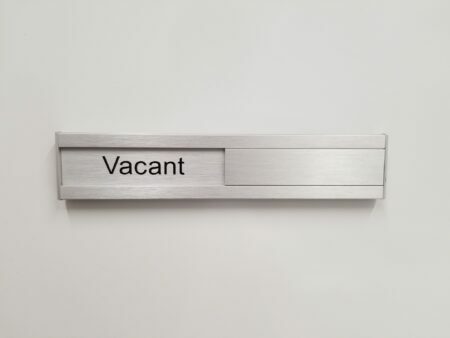 VS In Use Sliders are available in anodized silver aluminum signs with vacant on one side and occupied on the other. VS In Use Sliders can be installed by themselves or installed with other VS Signage sign types. Ships as complete assembled slider with double sided taped on the back for installing by itself or underneath a VS Sign.